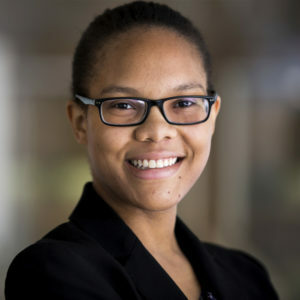 Valerie Washington, PhD student at U-M’s Department of Industrial and Operations Engineering (IOE), has been selected as a 2018 Bill Anderson Fund (BAF) fellow. The BAF Fellowship Program is awarded to PhD students from underrepresented groups working in hazard and disaster research and mitigation. The program offers three annual workshops, webinars, a mentoring program, and opportunities to engage with communities affected by natural disasters. As a fellow, Washington will receive funding to attend the annual Natural Hazards Research and Applications Workshop and the BAF Fellows Workshops, which include technical and professional development sessions. Her research interests are evaluating the effects of repeated floods on communities, particularly marginalized groups within these communities. The BAF was founded in honor of William Averette (Bill) Anderson, who dedicated his career to increasing participation of minorities in the hazard and disaster mitigation field, and studying and addressing the needs of vulnerable populations during and after disasters.